These blue rhinestone lanyards look the part and keep your ID photo cards securely attached at all times. 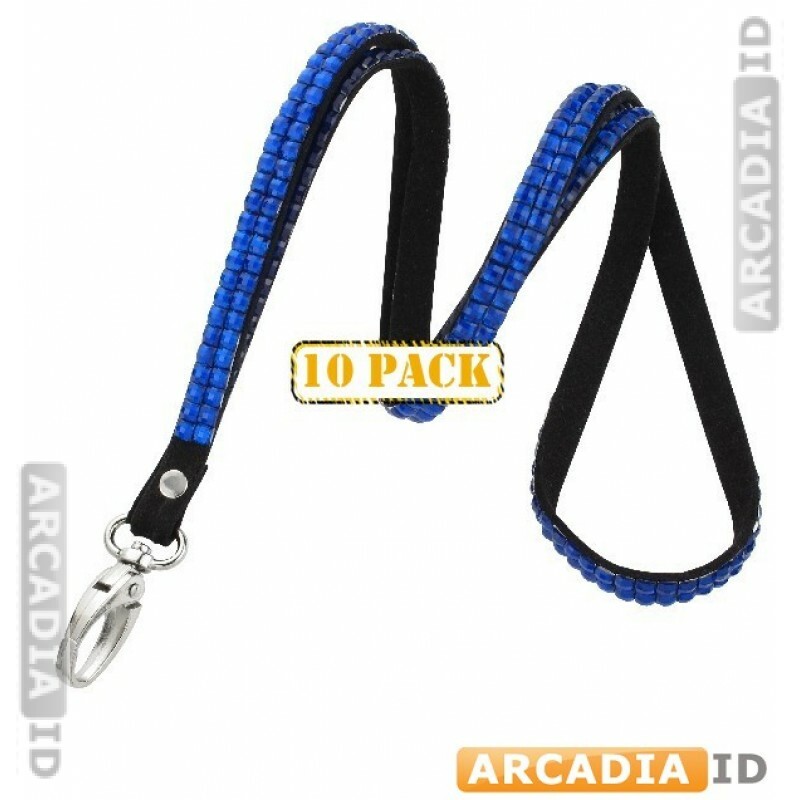 Vibrant blue color and sparkling rhinestone combine for a premium looking product. This listing is for 10-packs. For all other high quality ID card materials at low prices browse the other items.